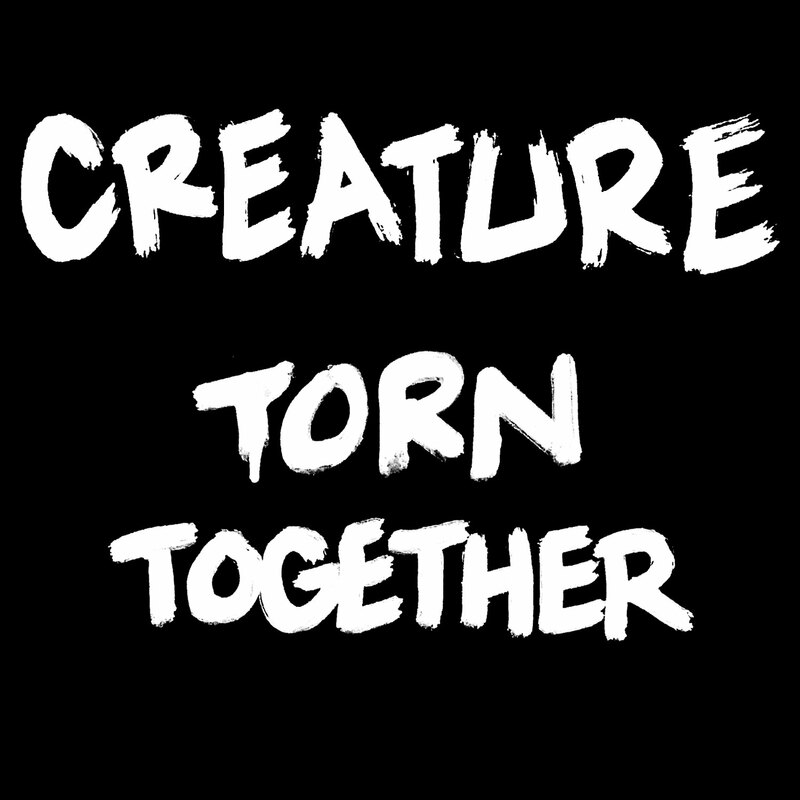 “Creature, the enigmatic emcee (who doubles as the frontman for Rebelmatic, one of the most popular bands on the Afropunk scene) is back with Torn Together, his first solo record in 4 years. Having worked in the past with luminaries across genres, including the late Ari Up of The Slits, Bad Brains’ H.R., Slug, MF Doom, and Prefuse 73, he’s become known as a rapper’s rapper. The album is another flare sent up announcing that NYC, once again, is the throne world of hip-hop’s underground. The set is reminiscent of the best the late 90s and early aught’s indie hip-hop, infused with hints of modern sound pallets and production aesthetics. Preservation (Ka, Yasiin Bey) responsible for the bulk of the album’s production lends his subtle yet dangerous sound to the record marking out a territory safe for Creature and his guests to wreak havoc with minimal damage to outsiders tipsy on years of weak rap. Guest producer Noble Dru offers up a synth-operated vehicle for Creech to trade barbed wire whip lashes with Vordul-Mega (of the recently resurrected Cannibal Ox) on “Sore Eyes”. Kool A.D. a longtime Rebelmatic supporter pops up on the deep-fried soul of “Warhol’s Wig”. Homeboy Sandman pays his respects to the underground prince by joining Creature on a “Rollercoaster” of true school drum patterns scantily clad in ghostly organ riffs. The word play is undeniable. The production is loop tyranny of the highest hip-hop order. This is a New York rap record…that sounds like a New York rap record. More dirty south Bronx than dirty south…and that’s a good thing.